Testimonials - Lawn Kings Inc.
“This company truly is the epitome of quality and customer service. Before I hire any company to work on our house, I spend a lot of time researching and checking referrals. 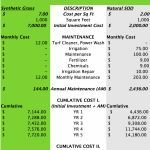 I needed to install synthetic turf for my side yard so I contacted a number of different companies to obtain estimates. Unfortunately, I was very frustrated when a lot of those companies had hidden fees that they never mentioned online or over the phone and/or tried to upsell me when they came over for the estimate. Steve provided an estimate that same day which was better than all the previous estimates I had obtained. Best of all, Steve never tried to upsell me and there were no hidden fees. He was very patient explaining the different options I had and never once did I feel pressure or rushed to make a decision. Installation happened ahead of schedule and the quality of the turf exceeded our expectations. It was obvious to us that Steve’s number 1 priority was making sure we were completely satisfied with what we were getting. 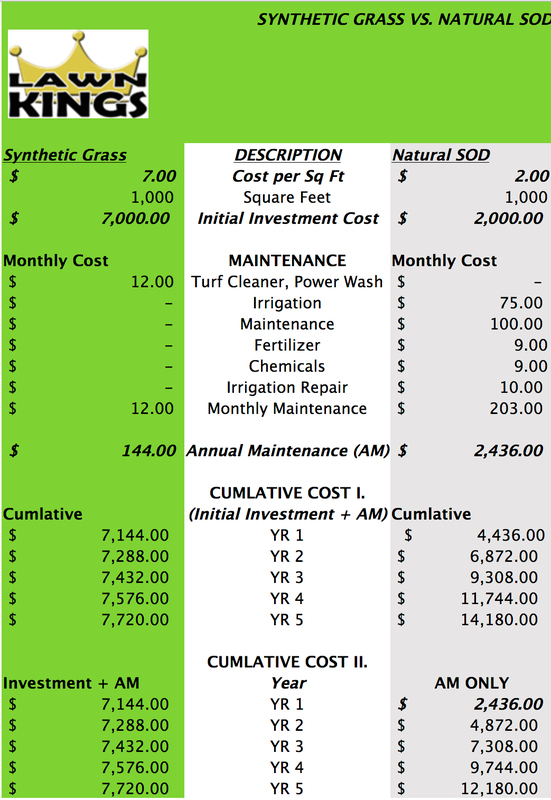 This is definitely a quality company and if you are thinking about getting synthetic turf in your yard, I highly recommend you giving Lawn Kings a call. “Steve was very professional listened to my concerns and assured me of the durability etc. It looks great and really transitions nicely over to the front lawn(turf). Dee the foreman was super friendly and professional and was around several times that day checking in! The crew did an amazing job laying the turf and it looked like a freshly mowed lawn when they left, they also did a beautiful job of making the slightest natural mound on the parkway. You can tell they know what they are doing. The way they did the layout and cut the turf to make sure the seams would mesh together, just fantastic attention to detail. No more mowing, blowing, fertilizing, weed killer, weeding, or watering. I mean can you imagine a perfectly green lawn with no weeds or brown spots and no maintenance.